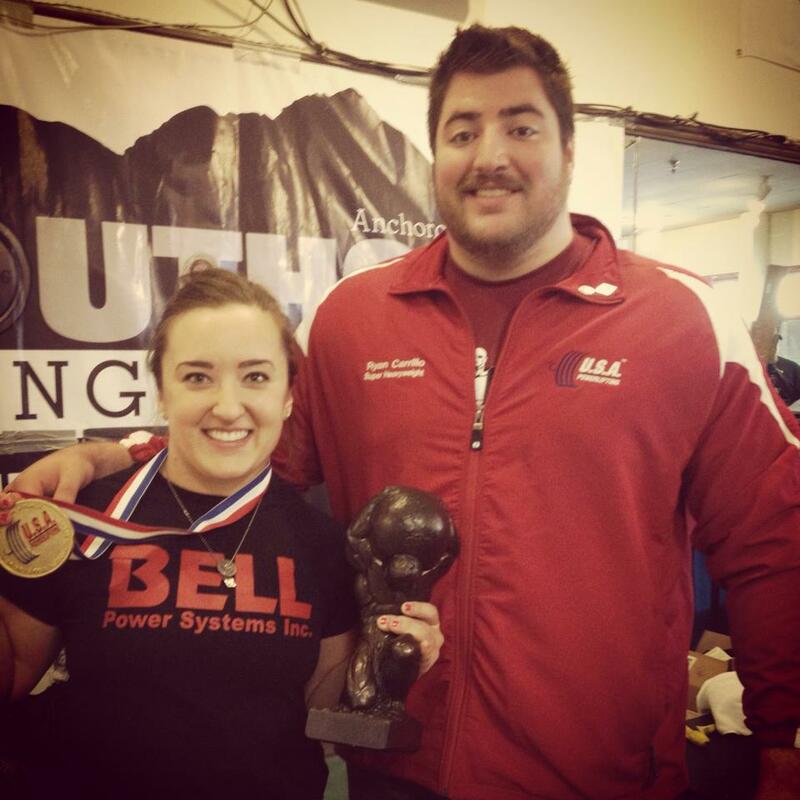 Natalie Hanson | Rolling down the path to elite strength. We are starting a new year, so naturally I have been reflecting over the last year — thinking about what has changed since this time 365 days ago. 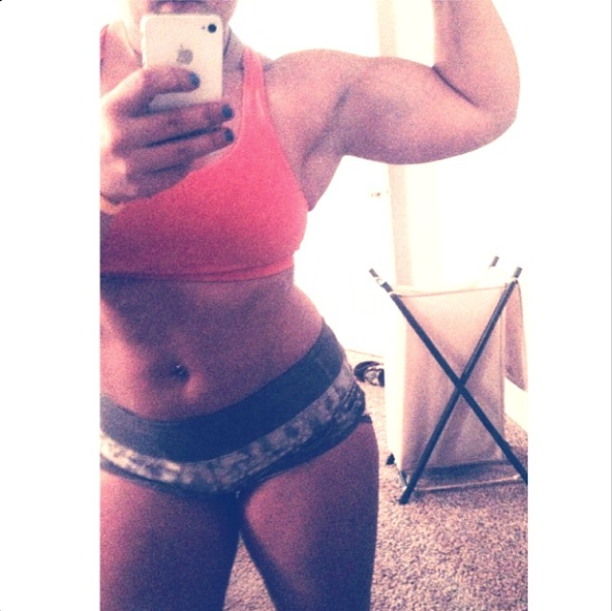 2014 has been my first full year of Powerlifting. I started off the year pretty big with my first meet being at the Arnold where I took 3rd in the StartingStrength.com Pro Raw Challenge. Prior to that meet, I had never competed without cutting a few (or several) pounds. The Arnold was my first time bumping up a weight class to the 84-kg/185-pound class. I weighed in about 8-pounds heavier than my previous ‘walking around weight’ at 178-lbs and added 83-pounds to my PR Total from just 3 months prior. Pretty good trade-off, if you ask me. Going up a class made Powerlifting more enjoyable because I knew what I was capable of come meet day, instead of hitting big lifts in the gym but going backwards at a meet due to a weight cut. Since the 2014 Arnold, I have competed in 2 full meets and 2 partial meets (USAPL Bench Nationals & an exhibition pull/push). Beginning in March of this year, I was welcomed onto the team that is Bell Power Systems, based in San Antonio. 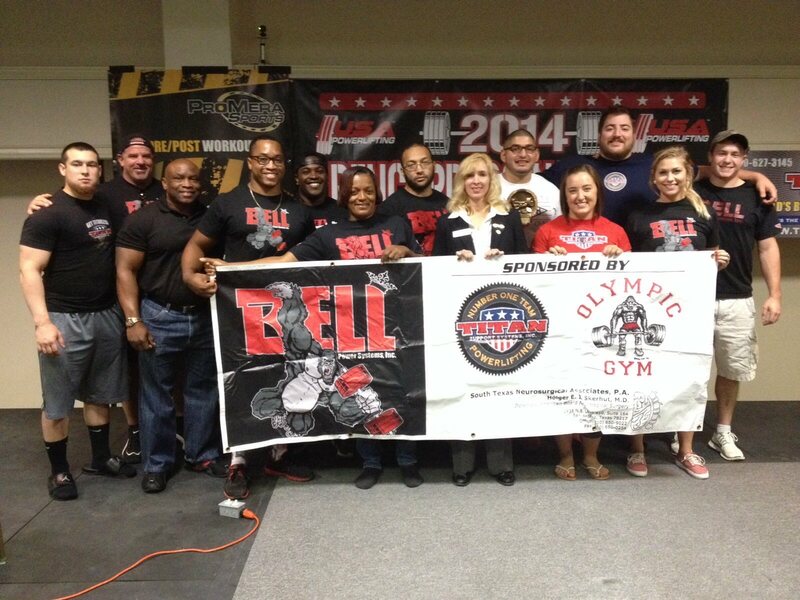 BPS is a fleet of Powerlifters that are led by the legendary Gene Bell, and not only is the crew strong, but they are truly a family unit — the squad is what is great about Powerlifting. In late April, I competed in the USAPL Alaska State Championship, held in Anchorage. The most remarkable moment during that performance was my 402-pound Deadlift, a 32-pound PR from the Arnold (less than 2 months later), and a 66-pound improvement over my best pull from the meet I did in December 2013. There were 2 major changes that contributed to that big PR: switching to a sumo stance, but more importantly a complete overhaul in my Deadlift training. In short: volume = GAINZ. Then comes summer 2014, which I spent in south Texas with Ryan. Activities of the summer included suffering from being overheated, training in 110 degree heat with minimal air flow, whining incessantly that the A/C wasn’t strong enough, and sweating constantly. On a less dramatic note, the 3 months in Texas really transformed me as a lifter. First off, I had never experienced regular training partners/coaching to push me further than I would ever go alone, but also to help me brush it off when I had a bad day. My training prior to the summer was about 98% alone. That meant I knew how to keep trucking through a workout, but everything I did was pretty mellow. I did not realize how FUN training could be if you had the right people. Training with Ryan (& BPS) over the summer allowed me to meet TONS of great people that I otherwise would never have gotten to know. Additionally, I was privileged enough to prepare and compete in USAPL Bench Nationals (equipped), but the best part was being surrounded by some of the greatest Benchers in the country (and world) to help me learn the equipment and prepare for Nationals (more on this shortly). 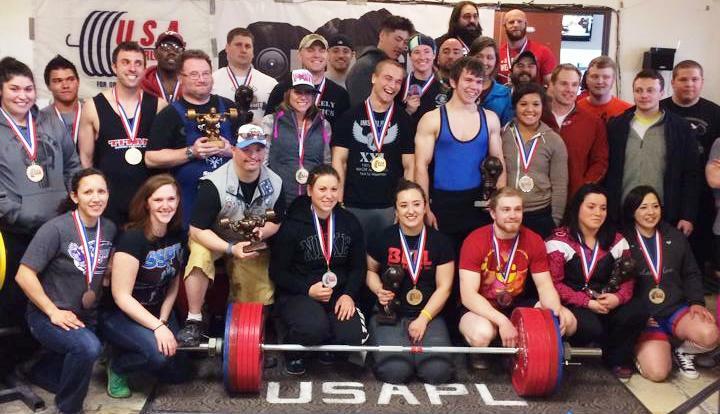 USAPL Raw Nationals took place in Denver, CO. I took 3rd place with a 385-pound Squat, 209-pound Bench, and a 402-pound Deadlift (997-pound Total… yeah, 3 measly pounds shy of a grand). With a Wilks score of 407, I qualified to compete in the StartingStrength.com Pro Raw Challenge at the 2015 Arnold Sports Festival (Friday, March 6th). Bench Nationals was in late-August in San Antonio. I did not do as well as I would have liked — only made my opener of 303-lbs (missed 325-lbs two times). My performance did not deter me from equipped bench pressing, though. I will be competing in the Titan Pro Bench Bash at the 2015 Arnold (Sunday, March 8th). Because of the great teachers I over the summer, I can thoroughly enjoy equipped Bench training.. It is so difficult, but so exhilarating at the same time. Unlike 2013, this year I really toned down the ridiculously busy meet schedule. It is likely that in 2015 I will have just as brief a meet schedule: the Arnold in March, Equipped Nationals in May, and Raw Nationals in October. It feels like 2015 is going to be a big year. In my mind, I’m moving up from being a ‘new’ Powerlifter to whatever the next step up is… Perhaps it’s ‘intermediate’? Now for the fun stuff… Here is a comparison of my raw numbers from one year ago to now (the ‘current’ numbers are simply current PRs in the gym or a meet, while the past numbers are from a meet in December 2013). I’m not going to say cliche things about my expectations for 2015 — that I’ll work harder than ever or make some big change(s). What I am going to do is continue to work my hardest, but also work smart, and to continue progressing like I have. 2015 is a big year, just like every other year in life is a big year. There is so much confusion and, unfortunately, controversy surrounding equipped vs. raw powerlifting so I feel like now is a good time to write about it. First, I’ll start with a background of both and then I’ll get into my thoughts on the divide, for whatever those are worth. Let me begin by saying that, save for 1 USA Powerlifting Bench Press Nationals, I have only ever competed raw. But that is simply due to my infancy in the sport – I have every intention of competing in both raw and equipped beginning in 2015. People ask all the time, “what exactly is ‘gear’?” In my world (USA Powerlifting and the International Powerlifting Federation), it is single-ply (think about that really cheap toilet paper that you probably/hopefully never buy – but not that thin) polyester with really strong stitching on the seams. The tendency of equipment is to return to its starting place, so a squat or deadlift suit (looks like a singlet to an untrained eye) wants to return to standing upright. A bench shirt has sleeves down to the elbow that want to return to extension (locked out). Equipped powerlifting is also called “geared” powerlifting or just simply put: powerlifting. From the inception of the competitive side of the sport, the goal was to lift as much weight as possible and that did not specify whether or not assistive gear/equipment could be used. There is a common misconception about gear, from those who have never used it, that all it does is add Lbs to your lifts. For example, if I am a woman who squats 250 raw, all I have to do is put on a squat suit and knee wraps (only used for squat), and squat 350 just like that. Perhaps there are instances where this happens, but it is highly unlikely. Equipment protects body parts that are susceptible to wear-and-tear/injury due to routine heavy lifting, tight gear can be painful (but just surficial pain, i.e. bruises), and equipped powerlifting is an entirely different animal than raw powerlifting… It takes persistence and tolerance to become a good equipped lifter. 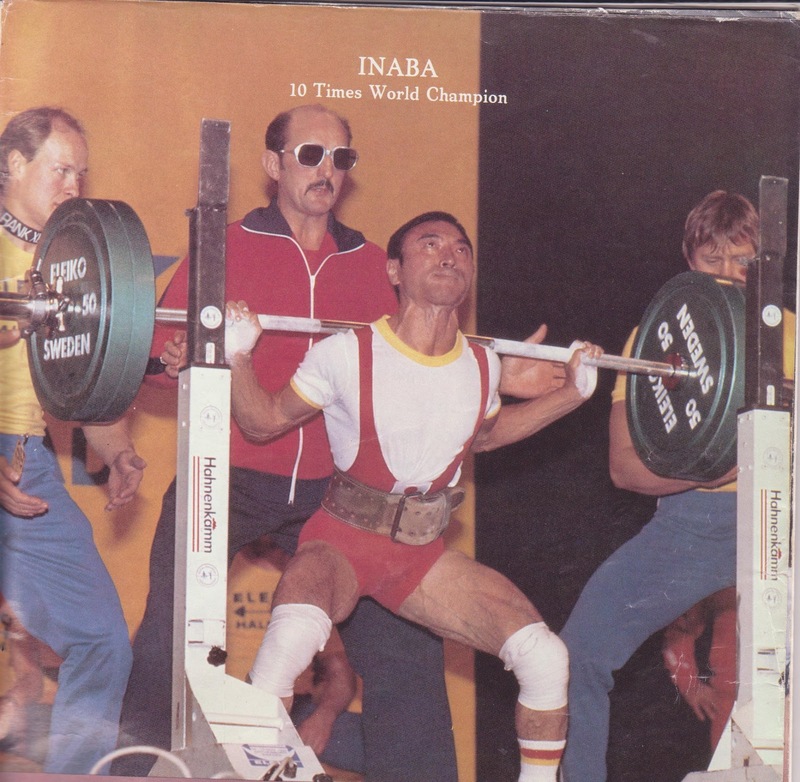 In the equipped lifting world, raw powerlifting is training. A lifter who is training for an equipped competition starts their cycle training raw and then eventually gets into their equipment a few weeks out from the meet. 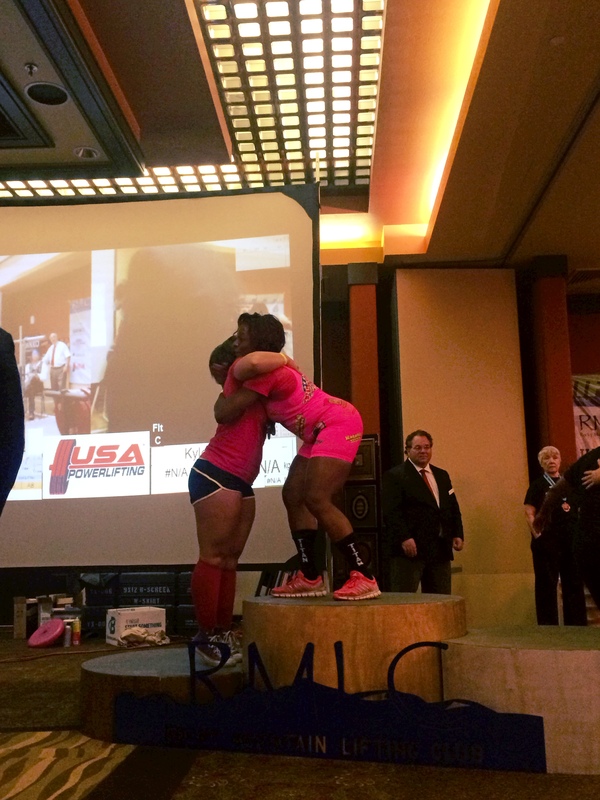 In 2008, USA Powerlifting started to recognize raw powerlifting as its own division. This is when the masses started becoming attracted to the sport (myself included, in 2012). It is easier to show up and lift at a raw powerlifting meet than an equipped meet, and incredibly easier to train for one. When I competed in my first two raw powerlifting meets, I was an avid CrossFitter… I didn’t do anything outside of my ordinary CF training besides take a couple of days off before the meet and I came away successful, setting 3 Junior American Records in my 2nd meet. As long as a lifter understands the commands, range of motion standards, and the very basics of attempt selection they will likely have success. Raw training can be done alone with minimal trouble (equipped training depends a lot on training partners to help get in the gear, wrap knees, spot, etc). Raw powerlifting allows lifters to wear a belt, knee sleeves* (as opposed to wraps; more on this later), and wrist wraps. Instead of the suits that are worn in equipped powerlifting, raw lifters wear singlets made of spandex-like material that don’t provide support*. One of the great things about raw powerlifting is that it eliminates many variables. It is very easy to directly compare the strength of lifter A to lifter B (without gear of varying manufacturers/tightness/structure), and that is attractive to lifters and spectators alike. Sergey Fedosienko of Russia (11x IPF World Champion) is an equipped powerlifter who has been highly successful competing raw. Fedosienko is undefeated on both raw and equipped platforms. As I discussed in the introduction, when powerlifting was in its early years there were little to no restrictions on assistive equipment. People began putting tennis balls behind their knees or wrapping them with tight ace bandages, wearing denim around the hips, and squeezing into tight shirts. This is when smart entrepreneurs invented the first generation of squat suits, wraps, bench shirts, etc. and the sport didn’t really look back until 2008, when a raw division was introduced. It tends to come full-circle, though. Fast forward to today, 6 years into the life of competitive raw powerlifting and many competitors are spending big bucks on the top-notch knee sleeves. What makes a knee sleeve top-notch? Thicker neoprene than ever before. That paired with a size (or two?) tighter than recommended, and you got yourself carry-over. Additionally, manufacturers are reportedly having to reinforce singlets (you know, the ones that don’t provide support) because some have found the benefit to squeezing into a couple sizes smaller. But forget about the regular old singlet, it is being speculated that there will soon be neoprene singlets on the market. Neoprene singlets/suits will likely be comparable to the Inzer Z-suit, which was the first mass-produced single-ply squat suit. And there you have it – full circle. Whether or not the purpose of neoprene everything and tight [raw] equipment is for protection or carry-over frankly does not matter to me, as I am just making observations about this interesting and heated dynamic. Hideaki Inaba of Japan (17x IPF World Champion) in an early generation squat suit & knee wraps. The purpose of my post is not to pick sides, as I have tried to stay as unbiased as possible. It is to educate those who don’t really understand and to voice my belief that the two divisions can coexist happily if we would just let them – we are all on the same team in the USAPL/IPF. If you think you have an opinion about one being superior to the other, please step back and think about it objectively. What puzzles me most is I do not understand why there would ever be animosity within one federation. Both groups of people (raw and equipped) love to squat, bench, and deadlift – together the two divisions could spread our passion for this great sport to the entire world and maybe even get the IPF into the Olympics! After an extended stay in Denver, I returned to San Marcos yesterday to finish out my summer. My Raw Nationals 2014 weekend was vastly different from my 2013 experience and I am very thankful for that. In 2013, I had to lose over 10-pounds to compete in the 72-kg weight class. My summer leading up to Raw Nationals was no fun and I struggled to hit my programmed lifts in the gym. I was coming off a highly successful USAPL Alaska State Championship in April where I had set 3 Junior American Records (297 SQ, 192 BP, and 824 Total) and then CrossFit Regionals. My goal was to better my American Records & podium, neither of which I did. I had lost the weight in a really irresponsible fashion – by practically starving myself and then shedding the last 1/2 pound by doing a workout in my hotel bathroom the morning of weigh-ins. My final results were a 5/9 day where I got a 286 SQ, 177 BP (only got my opener), and 336 DL (2nd in the Junior division). The only thing I was happy with was that somehow I qualified for the Arnold. Immediately after the awards, my family and I left Orlando for the beach. No part of me wanted to be at the venue any longer. My experience taught me a lot and fueled me to improve. Fast forward to 2014 — I made the decision in December to move up a weight class, so now my bodyweight is at the bottom of the list of things I’m focused on. Raw Nationals this year was an incredible experience. I met all kinds of people, socialized, actually watched other lifters, and had a good time before and after competing. My only stressor was that I couldn’t seem to keep weight on. I had been training all summer at 184 and by the time we weighed in on Sunday, I was 179… But in the end it did not affect my performance. My day was a far-from-perfect 6/9 performance (had some trouble keeping my balance with my 1st & 2nd Deadlift), but it landed me 3rd in the Open and only 2-pounds shy of my 1,000 pound Total goal. I am incredibly thankful for the supportive team that I have, my 3 fantastic coaches, and my family for traveling from California, Alaska, and Fort Collins to watch me compete. So even on a not so stellar day, I managed to add 197-pounds to my Total and increased my Wilks by 55 points, even after putting in 20 pounds of bodyweight. I’m not disappointed with my performance, but I am definitely hungry for some redemption because I know I had a bigger Deadlift in me on Sunday. My next meet is in 4 weeks – I’ll be doing Bench Nationals equipped (not RAW) in San Antonio. I have also accepted the invitation to Bench and Deadlift (RAW) at the Alaska Fitness Expo in Anchorage during the evening show on October 11th. Nothing that has happened up to the moment we step foot onto the platform at Raw Nationals 2014 matters anymore. Sure, it has prepared us for the big day, but no one stands on top of the platform for what they lifted in training. Meet day often comes faster than I expect it to, which is the very reason I refuse to go through my training cycles with a rushed mindset (i.e. “I can’t wait until my next meet!”). It is the process and development over weeks and months that molds me mentally/emotionally into who I am on game day. We are 11 days out from Raw Nationals 2014 and I will cherish every one of those days, even after all my heavy training is over with, and enjoy the process. This topic has been harped on, but I’m going to harp on it a little more because I do not feel like it is a dead horse yet. I don’t know any hard stats, but for every one woman who is happy/proud/satisfied with her body, there are millions who are not. And that’s no way to treat yourself – no matter the circumstances. Women have it rough and I’m not quite powerful enough to go and simply change society’s views, but what I can and WILL do is my hardest to inspire women and maybe, just maybe, a small handful of females will begin to look at themselves in a more positive light. If each person in my position can spread the happiness one or two degrees, maybe we will soon see SELF and/or Women’s Health magazine(s) go out of business… Or change their approach of marketing to us beautiful, bodacious women. The most important piece to this mentally and physically complex puzzle is to be working TOWARD something. Set goals – short term and long term (we all know that right?) – and write them down. On paper. Make ‘soft’ goals (qualitative) but also throw in some numbers: “I want to squat ___ by September 1st” and then decide how you are going to get there! My second piece of advice, that might be more valuable than the generic suggestion of goal setting, is to take each day as it comes, but also keep in mind the medium and long term. Here’s how I look at eating: It’s relatively easy to stay focused on a daily basis. Just eat what you are supposed to eat each day. But you should still let your mind wander to the weekend when you get your weekly cheat meal. Don’t obsess over it, but if you are stuck in a rut on Hump Day and want to throw in the towel, think about how good it will feel to make it to Saturday. And then lastly, the longer term… When you finally get to what you have been working so hard for, it will all be worth it. The summary of what I am saying is that it makes life much sweeter when you are achieving little goals along the way. To circle this back to body image, I think working towards something can give a feeling of purpose and therefore, appreciation and pride for what the body can do. Just over a week ago, I started working with a nutrition coach who tells me what to eat & when to eat it. This has alleviated a big stressor in my life that is food (it always has been). Now that I have handed that task off to a coach, I can COMPLETELY focus on my training and recovery to get the #gainz. I am comfortable in my skin, happy, and proud of how I look and what my body is capable of, and I yearn for other women to feel this way about themselves. I had never posted a picture of myself flexing on social media until yesterday. No, I don’t have a 6-pack, nor is my 180-pound body perfectly chiseled, but I am proud of what I can do and I want to inspire other women to feel the same about themselves. Over the last couple of weeks before the USAPL Alaska State Championship this past Saturday, a couple of strong role models and teammates that I look up to presented the concept of having a positive mindset. It does not matter if you are the only person who believes in yourself, as long as you embrace a truly positive mentality you are capable of achieving anything. Until the last couple of months, that is something I have struggled with. I have put limits on myself and allowed others to put limits on me… I underestimated the power of a positive mind. 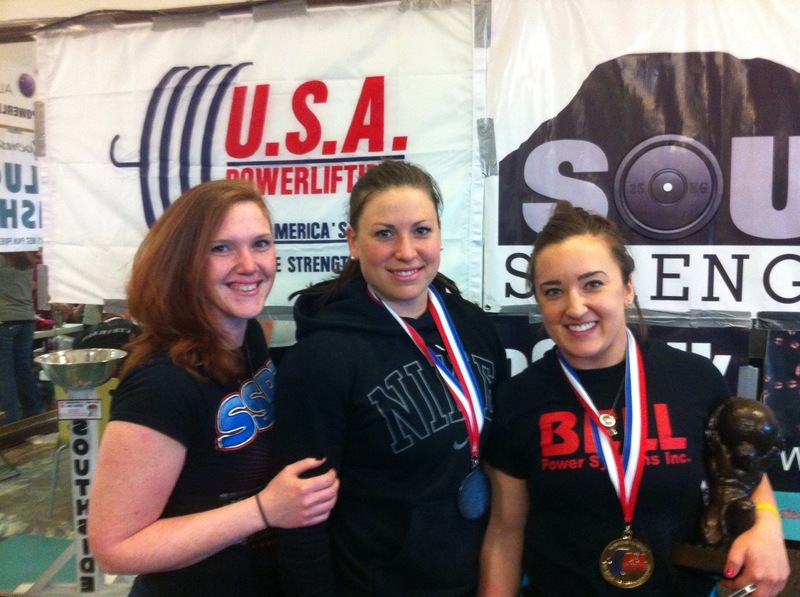 On Saturday, the Best Female Lifter award came down to my last Deadlift of 402-pounds. Even my wonderful, loving, and supportive parents thought someone had “lost their mind” when they saw the bar loaded with 402-pounds and their daughter approaching on the platform. 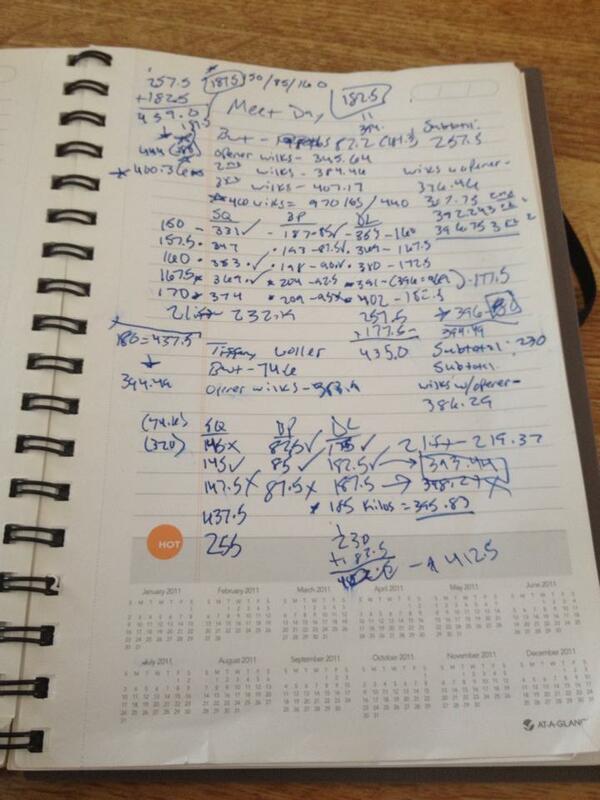 At meets, my mom keeps notes of what my previous PRs have been so she can have something to refer to… And nothing close to 402-pounds was written anywhere, so she found herself scrambling to figure out what was happening. I’m pretty sure the head judge was caught leaning forward, squinting at the screen and rubbing his eyes to make sure that’s the number he saw. None of that matters to me, though. I was in the staging area getting ready for war. Ryan (my boyfriend coach) told me it was going to feel heavy, but not to give up… There was no way I was going to give up because I knew I could do it. And I did. It was the most intense moment I have experienced thus far in my athletic career and I grew into a stronger human being from just a few minutes. Going into the next 10 training weeks before Raw Nationals, I could not be more happy with where I’m at. My experiences leading up to this year have left me hungry and now I’m confident. Ryan and I looking exhausted. 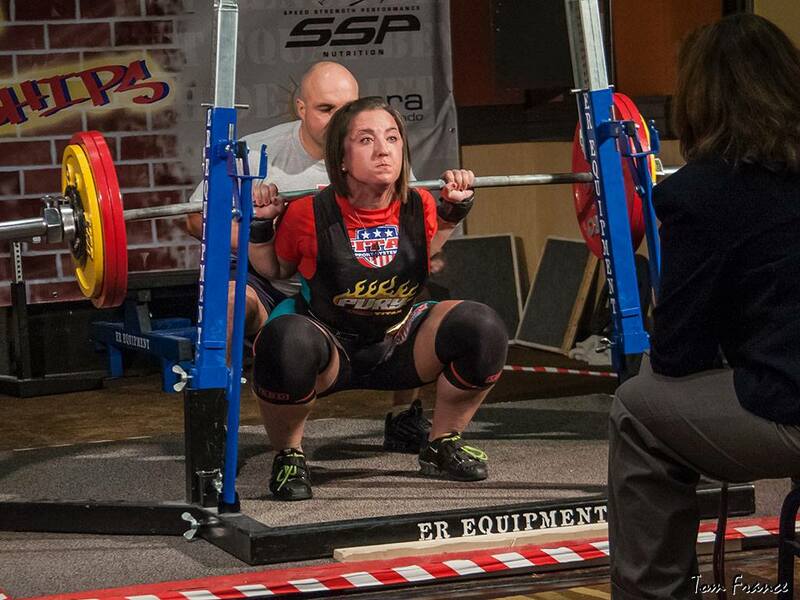 As I get further into the individual sport of Powerlifting and get to know more and more competitors, there are two parties that have seemed to surface: those who own up and those who… Don’t. First, let me give you some backup. 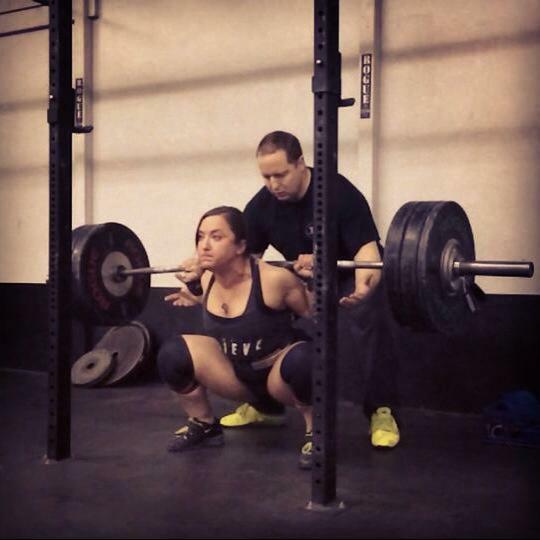 Throughout my entire life until I started CrossFit & Powerlifting, I was a team sport person. I played volleyball in high school (2 time state champs – what what!) and at the club level in college, as well as basketball growing up and through high school. My only experience with individual sports was Native Youth Olympics (you might have to Google it) for one season where I competed in the Seal Hop at the state meet. Therefore, it is safe to say that any significant losses in my athletic career before the present were due to the performance of a large group – a TEAM. It is commonly said “there is no ‘I’ in ‘team'”, so that means that neither big wins nor big losses can be put on one individual player, because throughout a game each player has moments of greatness and moments of weakness. It is a team effort. Individual sports are much different. I’ll refer directly to Powerlifting, but I’m generally describing all individual competitions. Leading up to an event, you have weeks to prepare. If you fail to do so, it is your fault and no one else’s. So you don’t quite get the Total you anticipated… Prepare better next time, or recognize that your goal was too lofty. Don’t blame it on insignificant or irrelevant details. Maybe it’s my experience with CrossFit that has humbled me. In CrossFit competitions, if you have not prepared properly, your weaknesses will be blatantly obvious (for you and everyone to see). It’s not the fault of the gymnastics rings, the barbell, or the 15 foot tall rope that you have to climb 3 times consecutively (I’ll get to that last one in a minute), it is your own fault for neglecting something. Last year at North West Regionals for the CrossFit Games, we had to do a team relay WOD that consisted of 3 rounds of squat cleans and 3 15-foot rope climbs. In training, we murdered the workout as a team on our 10-foot rope (we increased the climbs to accommodate shorter length rope) and thought we could put on a pretty damn good showing in primetime under the spotlight during the LAST WOD at Regionals. One minor detail: I didn’t prepare well enough, so the entire team suffered. It was on my very last climb of my 2nd round… The 135-pound squat cleans were nothing for me and I breezed through them. I got 2 rope climbs done, and then scrambled up to about 2-3 feet from the top of the 15-foot rope almost a half a dozen times, every time getting to a point where my grip had completely failed and I couldn’t even release my hands to climb DOWN, let alone UP. So I slid down like a firefighter on a pole time after time without getting my last rep. Eventually, the time ran out and I was horrified. I didn’t blame it on anything besides myself… My failure to work on things I knew were personal weaknesses. Failing to prepare is preparing to fail. Logistically, preparing for a Powerlifting meet is incredibly easy compared to preparing for a CrossFit competition. In this sport, you will be doing 3 things: Squatting, bench pressing, and deadlifting. There are no secrets, no surprises, and every meet is the same. Do what you need to do, and if you fail to execute take it as a learning experience. What disappoints me is when irrelevant factors are blamed for poor preparation or execution. Own up to it and grow from the experience into a stronger competitor – go back to the drawing board and fix what went wrong. Rant over. I am not big on writing negative posts, but this has been something that has bugged me time and time again, and I’d love to have a positive impact on how people view these kinds of circumstances.